Had a great Drill weekend for 301st FW for Feb 2015. I am glad that my editor from Houston Bill and Carol Havel was up here spotting together. This is Bill and Carol’s 1st spotting up here in JRB… Welcome our new visitors and I hope to see them up here more often. The day started with Lockheed Martin F-35A and Spotter F-16 and 11 of Spads F-16 taking off from Runway 18. They all recover by about 11:30am. The weather was a good 70 degree with a south wind of about 12mph in this Winter Feb morning. By Noon we proceed over to the west side and spot from the loop and was immediately greeted by Roper 6-3 from our local C-130 ANG unit. He was tearing up runway 18 and in a few occasion using 18R ( Taxiway ) to land. Roper 6-3 kept in the pattern till almost 16:30hrs doing all sorts of touch and goes. 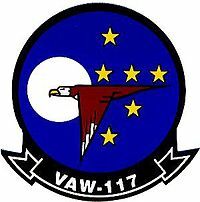 This was followed by 2x E-2 Hawkeye from Carrier Airborne Command and Control Squadron One One Seven (or VAW-117) is a AEW squadron. Nicknamed The Wallbangers came in and landed for gas and go. We were also greeted with a lone C-17 from March AFB . Spads did their 2nd sortie with 8 jets going up for the afternoon mission using Spads and Mustang callsign. We manage to catch the mass launch and head to the north end for the recovery and got some of my best Spads Viper actions! We suppose to get 3 sorties of F-35 for that day but one of the F-35C VFA-101 and F-35B VMFAT-501 was cancel due to unforseen reasons. We get to see Lightning 1-1 coming out of Lockheed martin but he quickly do a 180 and return to Lockheed Mothership. All in all it was a great day here in KNFW with lots of actions. Best of allI get to spend great time spotting with Bill, Carol and Scott. ← Previous Previous post: Events ….. in Sync! !